If you gobble up French parenting tips about how to get your petit bébé to eat their haricots — or if you’ve fully outfitted your home in Danish hygge style, you’re going to want to hear this. It’s time to turn your attention to another European country where parents are getting major props lately: Sweden. I recently finished reading There’s No Such Thing as Bad Weather by Swedish-born author Linda Åkeson McGurk, and it was a real eye-opener regarding the the many ways we American parents are coddling our kids (largely indoors) these days. Here’s the gist: McGurk moved to Indiana from Sweden, got married, had two young girls. But she started to notice her kids’ childhoods were starkly different from the one she herself experienced while growing up in small-town Sweden. Mainly, McGurk found that so many American parents and schools alike saw kids going outdoors to play as a “liability” — in fact, she noticed the playgrounds and parks in her Indiana community would sit empty for much of the year. Fed up after being told her girls weren’t allowed to swim in a creek in a public park (because, again, liability), McGurk swore there had to be a better way. So she packed up and moved the whole fam back to Sweden. There, her children spend hours each day outdoors for unstructured play no matter the weather. And the difference she’s noticed in their mood and behavior is like night and day. 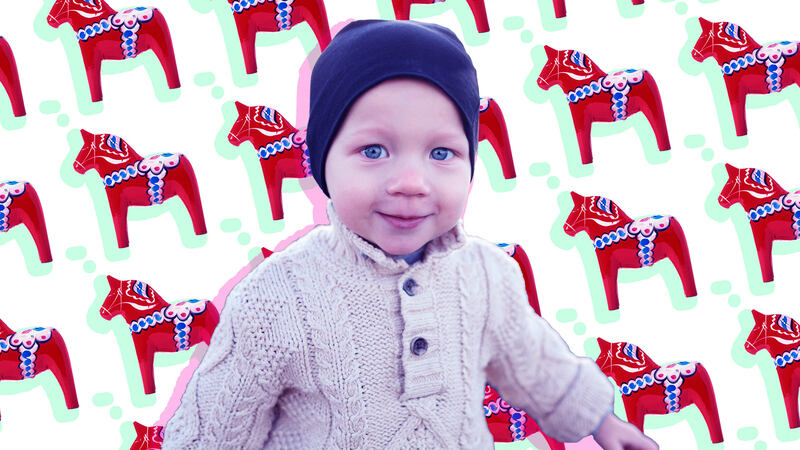 Are you ready to sign your kids up for the Swedish life? 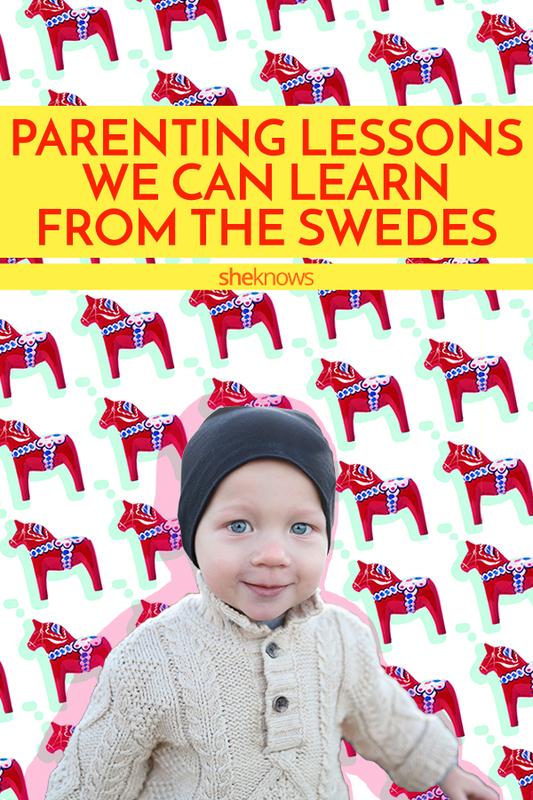 Here are some more secrets from McGurk and the Swedes about the Scandinavian way of parenting. Swedish babies start napping outdoors shortly after they are born — yes, even in freezing winter temps. Parents there swear the practice helps prevent diseases and is healthier than breathing indoor (“stale”) air. While you might not want to leave your baby napping outside stateside (you could technically get arrested for that) there’s an important lesson to learn here: The benefits of fresh air are real. Kids who spend more hours outside per day have fewer sick days, are more aware of their senses and even have better attention spans and less anxiety and depression. Instead of cutting recess in favor of more academic time, Swedish teachers believe fresh air is crucial — and integrate it into part of every school day. As they grow, Swedish kids bundle up and play outside year-round, even when it is raining or snowing. And it’s really not a big deal, McGurk insists. Because (no surprise here) kids actually love splashing in puddles, sledding and making snow angels. It’s usually the adults who have trouble adjusting to the idea of sending their littles outdoors when the weather is wailing and gross. But the next time the forecast looks dreary, McGurk recommends simply putting on another underlayer (or a raincoat and Wellies) and heading outside with your kids, even if it is just for 10 minutes to start. You’ll likely notice a real difference in kiddo’s mood — and even your own — for the rest of the day. Note: This doesn’t apply to every scenario. Obviously, if there’s a tornado, keep your kids inside. Yep, there’s more than just nature and fresh air in a Swedish parent’s toolbox. One surprise for McGurk when she moved back to Sweden was that young kids there weren’t pressured to read and write before age 3. Instead, they are encouraged to spend their time exploring and coming to each new skill on their own. That way, they develop more of a passion — and hopefully become lifelong learners. The same goes for sports; instead of being pushed into athletics by their parents, Swedish kids are encouraged to explore and try different things on their own time. Eventually, they just might find something they love. You won’t find many helicopter parents in Sweden. That’s because the Swedes believe in “freedom with responsibility” — allowing their kids to get out and play and explore on their own for hours at a time. Kids in Sweden wander the yard alone and often go to parks and around town under the supervision of older kids. Of course, living in a country with virtually zero crime rate makes this a lot easier to get on board with. Does it sound impossible where you live? Well, American parents can still encourage kids to play independently, even if they are supervised, stresses McGurk. For example, try not to immediately interfere the next time a conflict or challenge arises between your child and a friend. Letting the kids figure things out for themselves could work wonders for their confidence. You probably already knew that Scandinavia is big on equality. And as it turns out, gender-neutral parenting starts from birth. Some doctors in Sweden won’t even tell new parents the gender of their baby until he or she is born — none of that heavily color-coded, heteronormative baby shower nonsense. Later, there are gender-neutral preschools where teachers don’t use gender-specific pronouns like “him” or “her.” In Sweden, Boy and Girl Scout troops are merged into one; girls are encouraged just as much as boys to get outside and learn about nature — and, of course, to get dirty. Often, kids just leave their dirty clothes in the garage or get hosed off before coming back into the house. Everyone has a good time, and there’s absolutely no fuss. More: What Exactly Is Gender-Neutral Parenting? Most of the secrets of Swedish parenting aren’t all that revolutionary. In fact, the idea of playing outside for hours and being able to take risks without adults constantly interfering might even remind you of your own childhood. Sure, the world has changed a lot since then. But the moral of the story: Don’t be afraid to let your little ones take the lead on when, where and how they want to play and learn. And for crying out loud, let them go out in the rain and snow. Just be sure to bundle them up first.